View a list of Sustainability-related ongoing activities at he National Academies of Sciences, Engineering, and Medicine. The urban built environment is a prime setting for microbial transmission, because just as cities serve as hubs for migration and international travel, components of the urban built environment serve as hubs that drive the transmission of infectious disease pathogens. The risk of infectious diseases for many people living in slums is further compounded by their poverty and their surrounding physical and social environment, which is often overcrowded, is prone to physical hazards, and lacks adequate or secure housing and basic infrastructure, including water, sanitation, or hygiene services.To examine the role of the urban built environment in the emergence and reemergence of infectious diseases that affect human health, the National Academies of Sciences, Engineering, and Medicine planned a public workshop. This publication summarizes the presentations and discussions from the workshop. The 1980 eruption of Mount St. Helens in southwest Washington State radically changed the physical and socio-economic landscapes of the region. This report offers a decision framework to support the long-term management of risks related to the Spirit Lake and Toutle River system in light of the different regional economic, cultural, and social priorities, and the respective roles of federal, tribal, state, and local authorities, as well as other entities and groups in the region. It also considers the history and adequacy of characterization, monitoring, and management associated with the Spirit Lake debris blockage and outflow tunnel, other efforts to control transport of water and sediment from the 1980 and later eruptions, and suggests additional information needed to support implementation of the recommended decision framework. On March 13, 2017, the Roundtable on Environmental Health Sciences, Research, and Medicine and the Roundtable on Population Health Improvement jointly convened a 1-day public workshop in Washington, DC, to explore potential strategies for public health, environmental health, health care, and related stakeholders to help communities and regions to address and mitigate the health effects of climate change. Participants discussed the perspectives of civic, government, business, and health-sector leaders, and existing research, best practices, and examples that inform stakeholders and practitioners on approaches to support mitigation of and adaptation to climate change and its effects on population health. This publication summarizes the presentations and discussions from the workshop. Housing is a social determinant of health and has direct effects on health outcomes, but this relationship has not been thoroughly investigated. In December 2016, the National Academies of Sciences, Engineering, and Medicine convened a public workshop to better understand the importance of affordable and accessible housing for older adults and people with disabilities, the barriers to providing this housing, the design principles for making housing accessible for these individuals, and the features of programs and policies that successfully provide affordable and accessible housing that supports community living for older adults and people with disabilities. This publication summarizes the presentations and discussions from the workshop. Effective Mentoring in STEMM: Practice, Research, and Future Directions: Proceedings of a Workshop–in Brief (2017) Educators, scientists, engineers, industry leaders, and scholars from a wide range of career stages focused on identifying successful practices and metrics for mentoring students in STEMM career pathways. Workshop sessions spanned topics across the mentoring field: definitions, theories, practices, perspectives, evidence, research, identity, and reflection, with a particular emphasis on identifying the evidence supporting successful mentoring practices for women and students of color across high school and postsecondary education. This publication briefly summarizes the presentations and discussions from the workshop. On March 13, 2017, the Roundtable on Environmental Health Sciences, Research, and Medicine and the Roundtable on Population Health Improvements held a 1-dat public workshop about regional, state, and local efforts to mitigate and adapt to health challenges arising from climate change, ranging from heat to rising water. This publication summarizes the presentations and discussions from the workshop. On November 16-17, 2016, the National Academies held a 2-day workshop to explore the implications of producing and accessing individual- and community-level environmental exposure data in the United States. This publication summarizes the discussions that took place at the workshop, with emphasis on the comments from invited speakers. The 2012 National Research Council report, Disaster Resilience: A National Imperative, identified the development and use of resilience measures as critical to building resilient communities. Building on existing work, the National Academies organized a workshop in July 2015 to facilitate the exchange of knowledge and information about ways to advance the development and implementation of resilience measures by and within diverse communities. This publication summarizes the presentations and discussions from the workshop. In June 2007, the National Academies Forum on Microbial Threats hosted a workshop to explore the dynamic relationships among host, pathogen(s), vector(s), and ecosystems that characterize vector-borne diseases. Revisiting this topic in September 2014, the Forum organized a workshop to examine trends and patterns in the incidence and prevalence of vector-borne diseases in an increasingly interconnected and ecologically disturbed world, as well as recent developments to meet these dynamic threats. This report summarizes the presentations and discussions from the workshop. Science is a way of knowing about the world. At once a process, a product, and an institution, science enables people to both engage in the construction of new knowledge as well as use information to achieve desired ends. Science literacy is desirable not only for individuals, but also for the health and well- being of communities and society. 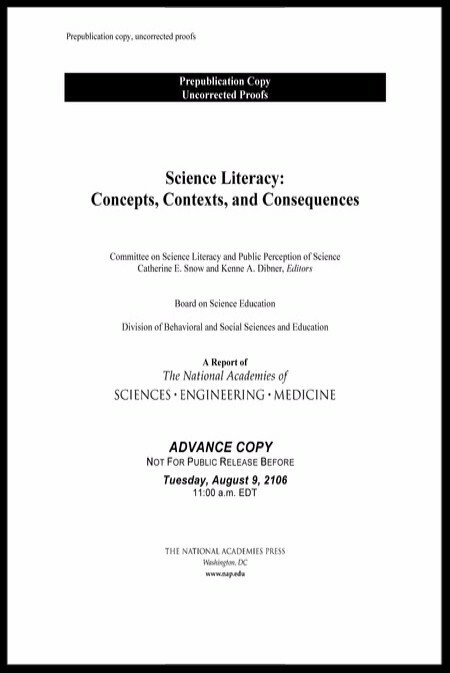 This report studies the role of science literacy in public support of science and synthesizes the available research literature on science literacy, makes recommendations on the need to improve the understanding of science and scientific research in the United States, and considers the relationship between scientific literacy and support for and use of science and research. Large catastrophic events, or rare acute events, may cause situations in which a local jurisdiction’s medicines and medical supplies are not sufficient to provide care to the population it serves. In these cases of natural or engineered disasters, such as a terrorist attack, influenza pandemic, or earthquake, state or local authorities can request that the federal government provide assets from the Strategic National Stockpile to augment the state and local jurisdictions’ resources. The Academies organized a two-day public workshop to explore opportunities to improve the efficiency, effectiveness, and sustainable methods used by the CDC’s SNS to distribute medical countermeasures and other supplies during disasters and other public health emergencies, especially those which result in disruption of physical infrastructure. This report summarizes the presentations and discussions from the workshop. 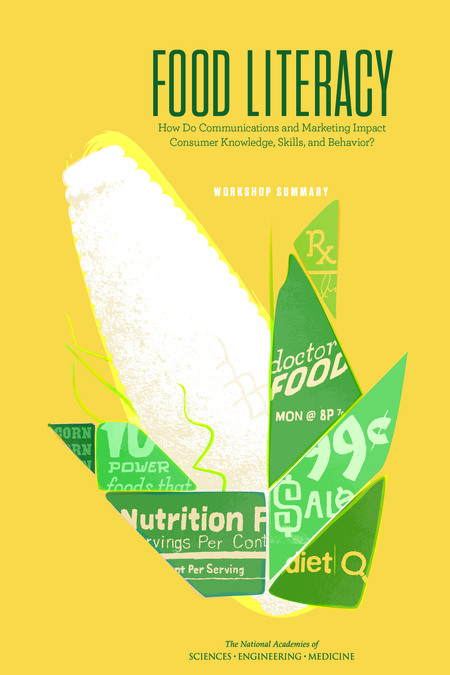 In September 2015, the National Academies of Sciences, Engineering, and Medicine's Food and Nutrition Board convened a workshop in Washington, DC, to discuss how communications and marketing impact consumer knowledge, skills, and behavior around food, nutrition, and healthy eating. The workshop was divided into three sessions, each with specific goals that were developed by the planning committee: session 1 described the current state of the science concerning the role of consumer education, health communications and marketing, commercial brand marketing, health literacy, and other forms of communication; session 2 explored how scientific information is communicated; session 3 explored the current state of the science concerning how food literacy can be strengthened through communication tools and strategies. This report summarizes the presentations and discussions from the workshop. Chemistry plays a critical role in daily life, impacting areas such as medicine and health, consumer products, energy production, the ecosystem, and many other areas. Communicating about chemistry in informal environments has the potential to raise public interest and understanding of chemistry around the world. This report is organized into two sections. 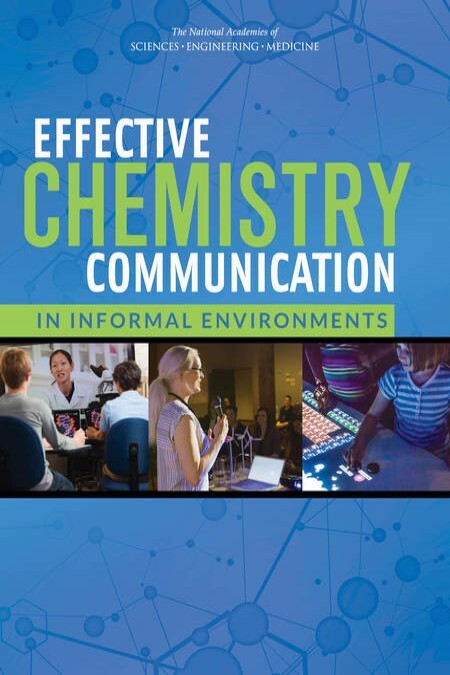 Part A summarizes evidence from communications, informal learning, and chemistry education on effective practices to communicate with and engage publics outside of the classroom; presents a framework for the design of chemistry communication activities; and identifies key areas for future research. Part B is a practical guide intended for any chemists to use in the design, implementation, and evaluation of their public communication efforts. On November 10, 2014, the Institute of Medicine's Roundtable on Environmental Health Sciences, Research, and Medicine held a workshop concerning the ways in which the urban environment, conceived broadly from factors such as air quality and walkability to factors such as access to fresh foods and social support systems, can affect health. 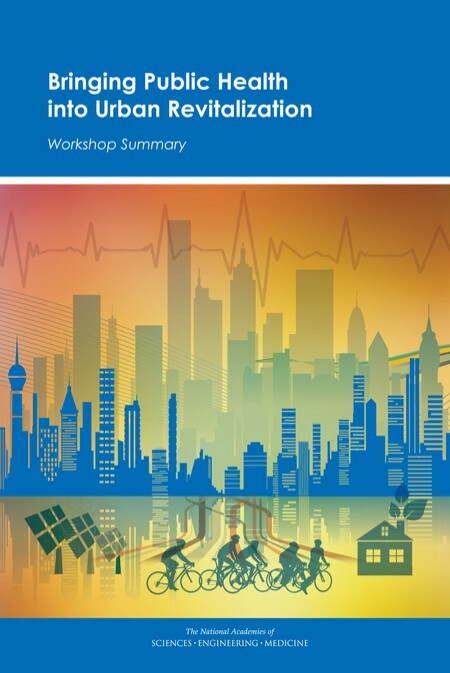 Participants explored the various opportunities to reimagine the built environment in a city and to increase the role of health promotion and protection during the process of urban revitalization. This publication summarizes the presentations and discussions from this workshop. Since the 2014 Ebola outbreak many public- and private-sector leaders have seen a need for improved management of global public health emergencies. The effects of the Ebola epidemic go well beyond the three hardest-hit countries and beyond the health sector. 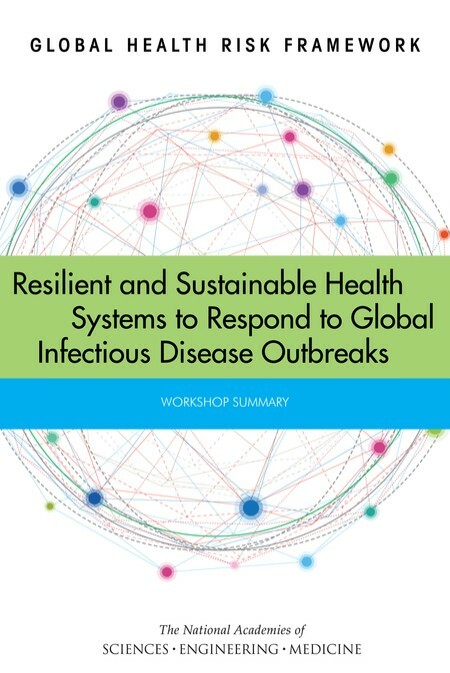 Education, child protection, commerce, transportation, and human rights have all suffered.The presentations and discussions from the Workshop on Resilient and Sustainable Health Systems to Respond to Global Infectious Disease Outbreaks are summarized in this report. There is a need to probe more deeply into how climate change impacts on the environment can create environmental stressors that, in turn, are having and/or have the potential to have significant impact on human health in a number of dimensions. In response to this need, the U.S. Global Change Research Program (USGCRP) has initiated an interagency Scientific Assessment on the Impacts of Climate Change on Human Health in the United States. This review evaluates the scientific basis, findings, and key messages of the USGCRP Draft Assessment, offering a number of overarching suggestions on how the USGCRP report authors can enhance their identification and assessment of the science and better communicate their conclusions to all of their target audiences. Climate change poses risks to human health through shifting weather patterns, increases in the frequency and intensity of heat waves and other extreme weather events, rising sea levels, and ocean acidification, among other environmental effects. Robust models that project the future health risks of climate change are needed to inform adaptation efforts, reduce adverse health effects, and to help to inform national and international discussions about climate policies--but so far, the development of such models has been slow. 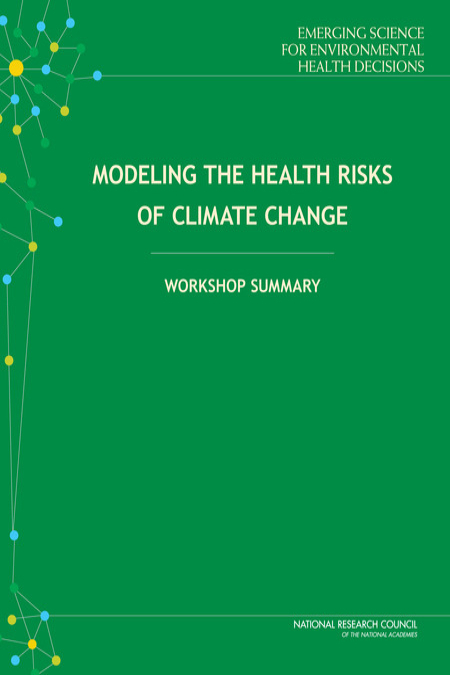 To explore new approaches to modeling the human health risks of climate change, a workshop was held in November 2014. This report summarizes the discussions and presentations of the workshop. In a world where science is interpreted through a variety of lenses--including cultural values and political dispositions--how can scientists engage with members of the public to empower decision-making and participation in public policy? The development and application of genetically modified plants and animals, also known as GMOs, has been the subject of multifaceted societal debate by some stakeholders, including scientists. 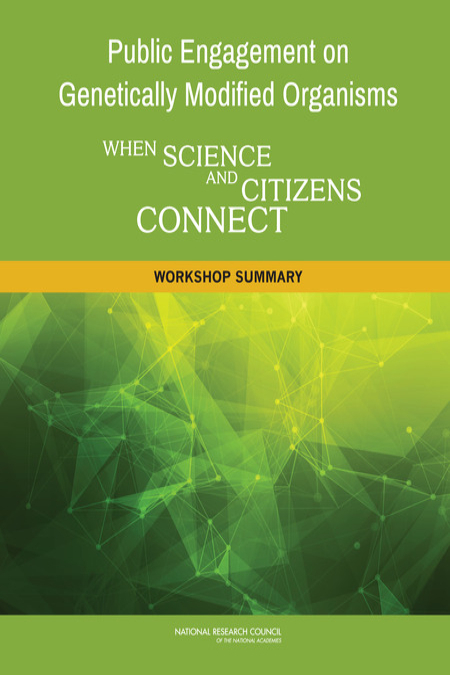 This report summarizes the discussions and presentations that took place at a workshop held in January 2015 by the Roundtable on Public Interfaces of the Life Sciences. On February 5, 2015, the Institute of Medicine (IOM) Roundtable on Population Health Improvement hosted a workshop to explore the relationship between public health and health care, including opportunities, challenges, and practical lessons. The workshop was designed to discuss and describe the elements of successful collaboration between health care and public health organizations and professionals; reflect on the five principles of primary care–public health integration (which can be applied more broadly to the health care–public health relationship): shared goals, community engagement, aligned leadership, sustainability, and data and analysis. In the devastation that follows a major disaster, there is a need for multiple sectors to unite and devote new resources to support the rebuilding of infrastructure, the provision of health and social services, the restoration of care delivery systems, and other critical recovery needs. This report identifies and recommends recovery practices and novel programs most likely to impact overall community public health and contribute to resilience for future incidents. The California Department of Pesticide Regulation (DPR) conducts human health risk assessments as part of its mission to ensure the protection of workers and public health in the state. This report examines DPR's processes of hazard identification, exposure assessment, dose-response analysis, and risk characterization to determine whether they are consistent with best practices. 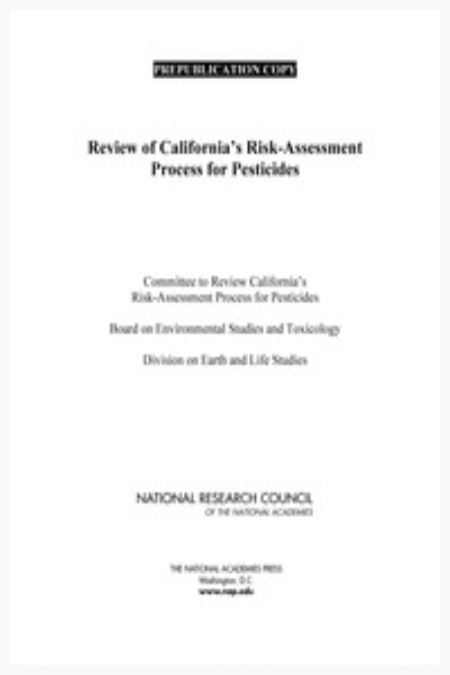 This report also evaluates the methods used for setting priorities among pesticides for risk assessment and identifies possible options for improving efficiency and productivity. 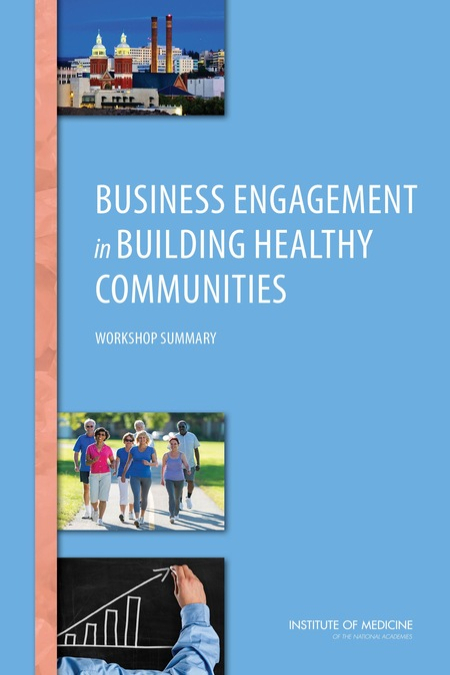 This report is the summary of a workshop convened by the Institute of Medicine's Roundtable on Population Health Improvement in July 2014 to consider the role of business in improving population health beyond the usual worksite wellness and health promotion activities. The workshop followed previous roundtable discussions on the importance of applying a health lens to decision making in non-health sectors and the need for cross-sector collaborations to advance population health. Institute of Medicine (IOM) launched an innovative outreach program in 1988. 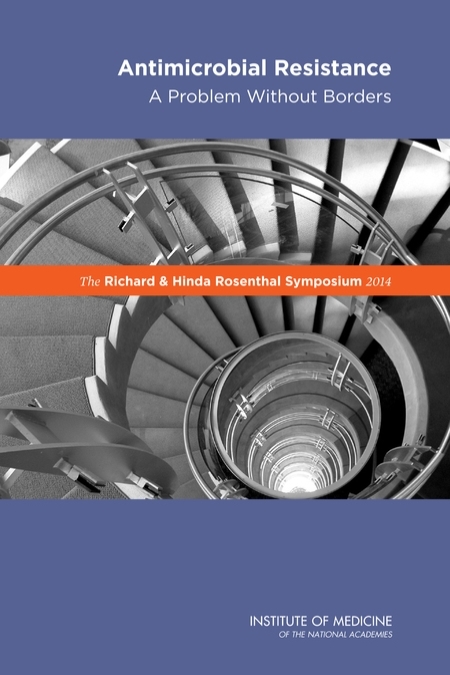 Through the generosity of the Rosenthal Family Foundation (formerly the Richard and Hinda Rosenthal Foundation), a discussion series was created to bring greater attention to some of the significant health policy issues facing our nation today. Each year a major health topic is addressed through remarks and conversation between experts in the field. The Centers for Disease Control and Prevention identified antimicrobial resistance as one of five urgent health threats facing the United States this year. This report highlights the crosscutting character of antimicrobial resistance and the needs for many disciplines to be brought together to be able to deal with it more effectively. The twentieth century witnessed an era of unprecedented, large-scale, anthropogenic changes to the natural environment. This report is the summary of a workshop hosted by the Institute of Medicine to explore the scientific and policy implications of the impacts of global environmental change on infectious disease emergence, establishment, and spread. 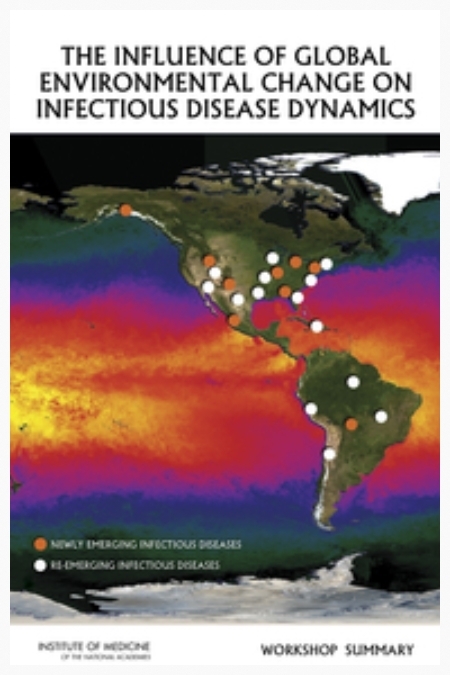 This report examines the observed and potential influence of environmental factors, acting both individually and in synergy, on infectious disease dynamics. The report considers a range of approaches to improve global readiness and capacity for surveillance, detection, and response to emerging microbial threats to plant, animal, and human health in the face of ongoing global environmental change. This report discusses the connection of ecosystem services and human health. This report looks at the state of the science of the role of oceans in ensuring human health and identifies gaps and opportunities for future research. 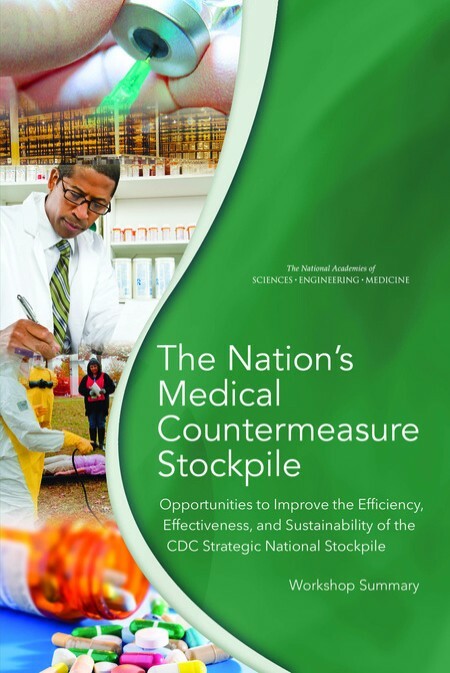 The report summarizes a workshop convened by the Institute of Medicine's Roundtable on Environmental Health Sciences, Research, and Medicine. Participants discussed coastal waters and ocean ecosystem services in the United States in an effort to understand impacts on human health. At the beginning of the 20th century an estimated five percent of the world's population lived in cities. Today, half the world's population is urbanized. Urban sustainability is multifaceted and encompasses security, economics, environment and resources, health, and quality of life. A symposium honoring the legacy of George Bugliarello, was hosted October 2012 by the Polytechnic Institute of New York University (NYU-Poly), to discuss how his vision manifests itself in innovative urban planning for the cities of tomorrow. This report is a summary of the presentations and discussion at that event. The symposium objectives were to cultivate ideas for best practices and innovative strategies for sustainable urban development and to facilitate the evolution of New York City to a real-life laboratory for urban innovation. On November 7-8, 2013, the IOM's Roundtable on Environmental Health Sciences, Research, and Medicine held a workshop to discuss approaches related to identifying and reducing potential environmental public health risks to new and existing industrial chemicals, which include chemicals used in industrial processes or commercial products, not those found in food, pesticides, or pharmaceuticals. Speakers at the workshop examined successes and areas for improvement within current regulatory programs for assessing industrial chemical safety, frameworks for chemical prioritization to inform targeted testing and risk management strategies, concepts of sustainability and green chemistry that support the design and use of safer alternatives, and efforts to reduce the risk of chemicals in our society. This document summarizes the workshop. Health is influenced by a wide range of factors, many of which fall outside of the health care delivery sector. These determinants of health include, for example, the characteristics of how people live, work, learn, and play. Decision and policy making in areas such as transportation, housing, and education at different levels of government, and in the private sector, can have far-reaching impacts on health. This report is the summary of a workshop convened in September 2013 by the IOM Roundtable on Population Health Improvement to foster cross-sectoral dialogue and consider the opportunities for and barriers to improving the conditions for health in the course of achieving other societal objectives (e.g., economic development, efficient public transit). Health impact assessments provide a structured process that uses scientific data, professional expertise, and stakeholder input to identify and evaluate the public health consequences of policy and program proposals. The Institute of Medicine's Roundtable on Environmental Health Sciences, Research, and Medicine held a workshop in 2012 to examine the state of the science regarding shale gas extraction, the direct and indirect environmental health effects of shale gas extraction, and the use of health impact assessment as a tool to help identify the public health impact of shale gas extraction. This document summarizes the workshop. In September 2012, the IOM Roundtable on Environmental Health Sciences, Research, and Medicine established the Global Environmental Health and Sustainable Development Innovation Collaborative to provide an adaptable pathway for discussing sustainable development and for sharing scientific information across the United Nations (UN) system entities, international and governmental organizations, academia, the private sector, and civil society. Following the 2012 UN Conference on Sustainable Development, the roundtable held a series of webinars to help inform the UN post-2015 development agenda process. The webinars covered lessons learned from the Millennium Development Goals process and offered insights on topics and goals that may be considered for global development frameworks being debated and negotiated. Public engagement allows citizens to give government officials input about pending policy decisions that can require difficult choices between competing values in the development of disaster plans. Building on recommendations and guidance from the 2012 Institute of Medicine (IOM) report, Crisis Standards of Care: A Systems Framework for Catastrophic Disaster Response, the IOM sponsored an interactive workshop at the National Association of County and City Health Officials Public Health Preparedness Summit in 2013. This report summarizes the workshop proceedings. 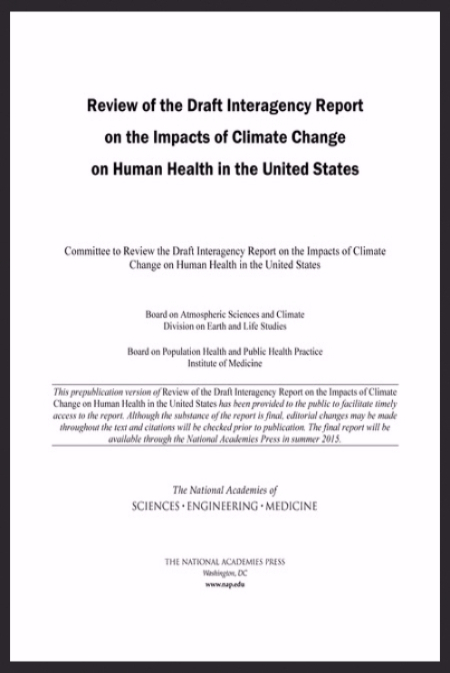 In preparation to the 2012 Earth Summit, the Institute of Medicine's (IOM's) Roundtable on Environmental Health Sciences, Research, and Medicine held a workshop to inform some the policies that were discussed. The workshop, held in July 2011, focused on the issue of sustainability and health as well as the linkages that are currently present between the two. The workshop included presentations and discussions which are summarized in this report. The report presents how different areas of public health, such as food and water resources, link to sustainability and opportunities or venues that can be examined. One way to reduce the impacts of disasters on the nation and its communities is to invest in enhancing resilience--the ability to prepare and plan for, absorb, recover from and more successfully adapt to adverse events. This report addresses the broad issue of increasing the nation's resilience to disasters. It defines "national resilience", describes the state of knowledge about resilience to hazards and disasters, and frames the main issues related to increasing resilience in the United States. It also provide goals, baseline conditions, or performance metrics for national resilience and outlines additional information, data, gaps, and/or obstacles that need to be addressed to increase the nation's resilience to disasters. A report from the National Research Council presents a framework for incorporating sustainability into the U.S. Environmental Protection Agency's principles and decision making. The framework, which was requested by EPA, is intended to help the agency better assess the social, environmental, and economic impacts of various options as it makes decisions. The recommended sustainability approach both incorporates and goes beyond an approach based on assessing and managing the risks posed by pollutants that has largely shaped environmental policy since the 1980s. The report recommends that EPA formally adopt as its sustainability paradigm the widely used "three pillars" approach, which means considering the environmental, social, and economic impacts of an action or decision. The global scientific and policy community now unequivocally accepts that human activities cause global climate change. Although information on climate change is readily available, the nation still seems unprepared or unwilling to respond effectively to climate change, due partly to a general lack of public understanding of climate change issues and opportunities for effective responses. Congress, in its 2009 and 2010 appropriation process, requested that the National Science Foundation create a program in climate change education to provide funding to external grantees to improve climate change education in the United States. To support and strengthen these education initiatives, the Board on Science Education of the National Research Council created the Climate Change Education Roundtable. This report is a summary of the discussions and presentations from the first workshop, held October 21-22, 2010. In recent years, significant advances have been made in the science and technology of earthquake engineering, but problems, barriers, and bottlenecks still stand in the way of making the nation earthquake resilient. To help plan future research investments in the field, the NRC hosted a workshop to discuss next-generation U.S. needs for basic earthquake engineering research. Workshop participants from a variety of disciplines assembled to identify high-priority grand challenges that define the frontiers in basic earthquake engineering research, and to describe the networks of experimental facilities and cyberinfrastructure tools that could help address these challenges. The Department of Energy's Office of Environmental Management (DOE-EM) is responsible for cleaning up radioactive waste and environmental contamination resulting from five decades of nuclear weapons production and testing that are stored at over 100 sites across the United States. A major focus of this program involves the retrieval and processing of stored waste to reduce its volume and incorporate it into suitable waste forms to facilitate safe handling and disposal. Waste forms immobilize radioactive and hazardous constituents of wastes in a stable, solid matrix. This report was produced to assist DOE in making decisions for improving current methods for processing radioactive wastes and for selecting and fabricating waste forms for disposal. Tuberculosis (TB) kills approximately 4,500 people worldwide every day. TB is the leading killer of people with HIV, and it is also a disease of poverty-the majority of TB deaths occur in the developing world. Although antibiotics are effective in treating many cases, some strains have developed resistance to these drugs. The treatments for drug-resistant TB are less effective, more expensive, and more toxic to the patient than antibiotics are for drug-susceptible TB. The IOM Forum on Drug Discovery, Development, and Translation and the Academy of Science of South Africa held a workshop March 3-4, 2010, in Pretoria, South Africa-the first in a series of international meetings designed to gather information from experts on the threat of drug-resistant TB and ways it can be combated.